Home > Special Offers > Sales > Live with Instinct. Live in the Moment. Live with Instinct. Live in the Moment. 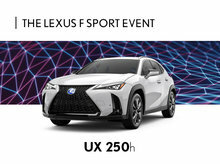 Take advantage of our exceptional offers in February! Hurry! These offers end on February 28, 2019! 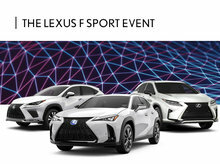 * The delivery credit is available on retail purchase/lease of new unregistered qualifying Lexus vehicles from a Canadian Lexus Dealer and will be applied after taxes have been charged on the full amount of the negotiated price. Vehicle must be purchased/leased, registered and delivered by February 28, 2019. For all offers, quantities of vehicles may be limited and Dealer order/trade may be required, may be limited and will vary by model. All offers are effective from February 1 to 28, 2019 and are subject to change/cancellation without notice. 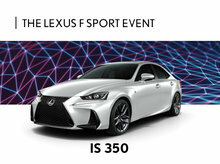 Some conditions apply, details at Spinelli Lexus.